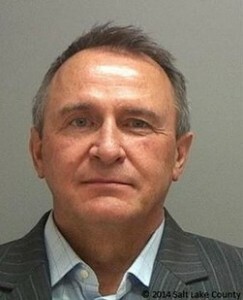 SALT LAKE CITY – Bribery charges brought against former Utah Attorney General Mark Shurtleff were dropped by prosecutors prior to his appearance for a short-lived preliminary hearing Monday. Originally faced with 10 felony-level charges related to allegations of alleged corruption, Shurtleff now faces five felonies and two misdemeanors. Shurtleff, 57, entered a conditional waiver of his preliminary hearing Monday, meaning he can still ask for a new preliminary hearing at a later date. In a preliminary hearing, evidence and witnesses are presented by the prosecution so the judge can determine if there is enough probable cause to move forward to trial. According to the Deseret News, Richard Van Wagoner, Shurtleff’s lawyer, will be filing motions he believes will affect the course of the case and could result in calling for the preliminary hearing later on. “Once those are filed and resolved, then depending on what, if anything, is left of the case, Mark can choose to come back and have a preliminary hearing,” Van Wagoner told reporters following the hearing. Van Wagoner said the amended charges were the result of months of fighting with the Davis County Attorney’s Office over what the evidence is and isn’t, and what it means. Gone are the three felony bribery charges that Van Wagoner said came from accusations that Shurtleff operated in a “pay-to-play” manner while serving as the state attorney general. The bribery counts were related to campaign donations. Van Wagoner also credited Davis County Attorney Troy Rawlings for taking time to review the evidence and drop the charges that he did. Shurtleff now faces five felony-level charges – three for accepting prohibited gifts, one for obstruction of justice and one for bribery to dismiss a criminal proceeding – and two misdemeanor counts related to official misconduct and obstructing justice. On the advice of his attorney, Shurtleff said very little to media following the hearing and simply said he was feeling good and has great counsel representing him. An arraignment hearing is set for June 29 in 3rd District Court. If convicted, Shurtleff could face up to 30 years in prison. Shurtleff, who served as the state’s attorney general for three terms, has maintained his innocence since he and his successor, John Swallow, were arrested last July in the wake of a nearly two-year investigation conducted by the Salt Lake County District Attorney’s Office and the Davis County Attorney’s Office into allegations of corruption. Various state and federal agencies were also involved. Both men were initially codefendants, but their cases were split. The Salt Lake County District Attorney’s Office took Swallow’s case, while the Davis County Attorney’s Office took Shurtleff’s case. The current charges against Shurtleff stem from allegedly accepting prohibited gifts from convicted businessman Marc Jenson and federally indicted St. George businessman Jeremy Johnson; lying to the FBI; trying to protect Swallow – then a deputy attorney general – by pulling the state out of a case involving Bank of America; and other allegations of corruption while in office. Swallow waived his preliminary hearing last month and is set to be arraigned July 20. Swallow resigned as Utah Attorney General after less than a year in office amid ongoing investigations into accusations of corruption and wrongdoing. He also maintains that he is innocent of the charges brought against him.